Jimmy and I have been dating for four years now. 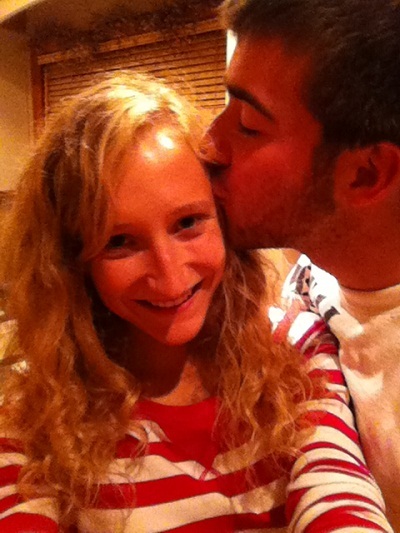 I can hardly believe that I started dating him when I was a junior in high school and now I’m a junior in college. He started dating me when he was 18 and now he’s 22. It’s crazy how fast time flies… when you’re having fun ;). We’ve been through a lot together. We’ve changed and grown. We’ve also had so much fun these past four years. I don’t know if I ever mentioned it, but we met at church! I was new to our church and after a while (we were both super shy), we would talk after Bible classes. We eventually exchanged phone numbers, hung out a few times, and started dating soon after. The rest is history. He’s my big buddy and I love being with him. We live almost an hour away from each other, so we usually only hang out on the weekends. We try to really enjoy the few hours/days that we do get to hang out. Jimmy is seriously the most patient and kind person I know. I feel so blessed. You know why else Jimmy is awesome? 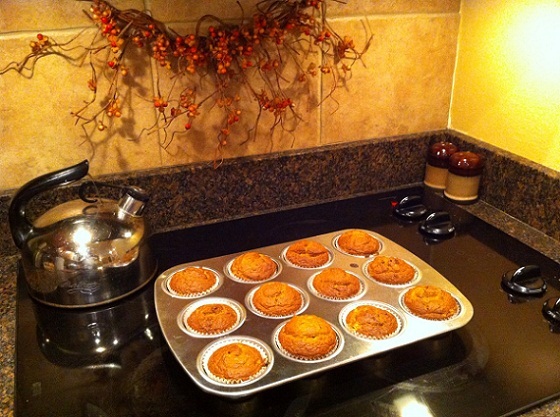 HE BAKED ME PUMPKIN MUFFINS FOR OUR ANNIVERSARY. He’s never baked before and he used The Pioneer Woman’s recipe! I’m in loooove. The two of you have fand across the nation! Cutesies Patootsies. wow four years so adorable! This is so sweet. You two are absolutely adorable! You guys are seriously so cute and I’m so happy for you two. So sweet!! May you be bless with love and care. You two are so sweet. Happy anniversary guys! Those muffins are pretty impressive baking for your boyfriend, congrats on 4 years together. But more impressive than the muffins is that he was willing to be in the picture with you like that. I have to cajole my husband so much for him to take a pic with me and he still gripes! How sweet, he is a keeper! Happy Anniversary to you both. Awwe! You guys are such a great couple 🙂 Happy anniversary!!! Aw!! Happy 4 years Allie!! Congrats to you and Jimmy! Aw, this is so sweet! Congrats! You guys may just be the cutest couple ever. Congrats on four good years! That’s so sweet! You guys make a great couple. Happy anniversary!!! You both are too adorable, Happy Anniversary Allie! Wow!! Congrats! And he’s def a keeper if he’s baking from PW! I love it! Adorable! You guys are too cute! You two are an adorable couple by the way!